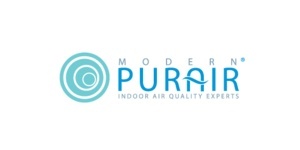 Modern PURAIR® has grown into Western Canada’s largest full service INDOOR AIR QUALITY (IAQ) company – providing multiple services for our clients, both residential and commercial. Our paperless invoicing (IPAD), Ventbox® Software, In-bound Customer service sales center (all phone calls get answered by our highly trained and skilled PURAIR® team), and exclusive cleaning and trademarked equipment – along with our 30 day satisfaction guarantee, free smiles, up front rates, clean shiny trucks, and AIRMILES® Reward Miles on all of our services, have helped us build a customer base that tells us over 98% of our clients would recommend us to friends and family. Entire Duct Cleaning: Give Code "JENCOR"